The book of Acts is Luke’s sequel to his Gospel. It traces the first decades in the history of the church after the resurrection of Christ, focusing in particular on the work of Peter and Paul. A helpful work that places Acts in the larger redemptive historical context of Scripture is Dennis Johnson’s The Message of Acts. 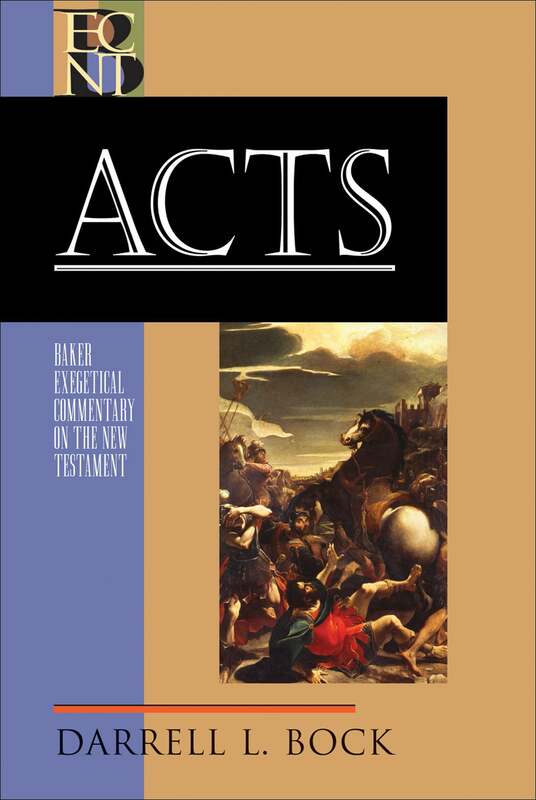 There are a number of good commentaries on the book of Acts, including Dr. Sproul’s volume. The following are the five that I have found to be the most helpful. 1. Darrell L. Bock — Acts (Baker Exegetical Commentary on the New Testament, 2007). Darrell Bock’s massive and outstanding two-volume commentary on the Gospel of Luke raised my expectations for his commentary on Acts in the same series. I was not disappointed. This work is equally outstanding. Like the other volumes in this series, it is somewhat technical. Greek words within the body of the text are transliterated, but if the reader does not have some understanding of Greek, it will likely become a bit confusing. 2. F.F. Bruce — The Book of the Acts (New International Commentary on the New Testament, 1988). First published in 1954, F.F. Bruce’s commentary on Acts in the NICNT series soon became a standard conservative evangelical commentary. In 1988, his commentary was revised and updated. It still remains one of the best commentaries on this book of Scripture. 3. C.K. Barrett. — Acts 1-14, Acts 15-28 (International Critical Commentary, 2004). Like the commentary on Matthew by Davies and Allison, this two-volume commentary on Acts in the ICC series is massive and technical. But it is also thoroughly exhaustive. It is written from a moderately critical perspective, so it should be used with care, but for students and pastors needing to look at every aspect of the text, it is invaluable (The publisher apparently thinks so too because these volumes are not cheap). There is also a one-volume abridged version available for those who do not need all of the technical details. 4. 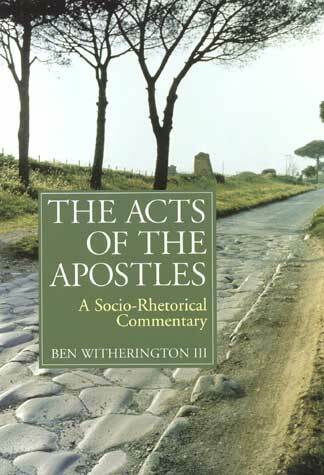 Ben Witherington — The Acts of the Apostles (1997). Ben Witherington’s series of “socio-rhetorical” commentaries varies in terms of its helpfulness. At over 900 pages, this is one of the largest volumes in the series, and one of the most useful. There is a large amount of information in this commentary that is not found in others, and the extensive bibliography is a plus as well. 5. I. Howard Marshall — Acts (Tyndale New Testament Commentaries, 1980). For those seeking a good introductory level, non-technical commentary on the book of Acts, the volume by Marshall in the Tyndale series is a good place to start. Like the other volumes in the series it is simple to read without being simplistic in content. In 2012, Baker Academic released volume 1 of what may soon be the definitive evangelical commentary on the Book of Acts. 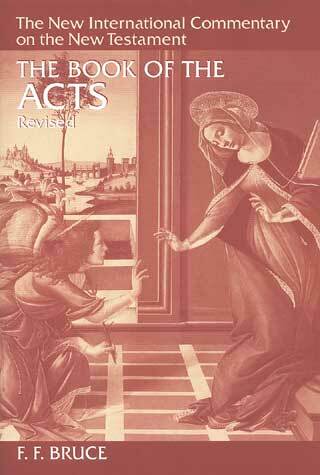 The projected four-volume series on Acts by Craig Keener is nothing short of massive. Volume 1 is 1038 pages. Approximately 640 pages of volume 1 is the introduction to the book of Acts. The remainder of volume one covers Acts 1:1–2:47. Volume 2, published in 2013, is 1150 pages and covers Acts 3:1–14:28. Volumes 3 and 4 have yet to be published, but each is projected to be approximately the same length as the first two volumes. By the time it is completed, it will be somewhere in the range of 4500–5000 total pages. I do not want to put this set into my own Top 5 until I have had the opportunity to look at all four volumes, but I believe it should not at this time be considered merely a “runner up.” Based on what Keener has accomplished in the first two volumes, and despite a difference of opinion on some specific interpretations, it is difficult to see how this will not be one of the first commentaries to which one turns for at least the next half century. There are a number of other helpful commentaries on the Book of Acts, including those by David Peterson, James Montgomery Boice, Dennis Johnson, J.A. Alexander, R. Kent Hughes, Ajith Fernando, Gordon Keddie, Richard N. Longenecker, William Larkin, John Polhill, and David Williams.